I walked into my office this afternoon to find this simple, stylish box sitting on my table with a quick note scribbled on it. Foodzie?! I had just been talking to someone about it yesterday. Now, here was one of their boxes. Why, oh why, didn't I talk to someone about an Audi A3? Oh well, let's look inside. Cute, huh? So far, I've tasted the ginger cookie (delicious) and the Thousand Layer cake (spongy and spicy). I can't wait to try the chips and mustard. 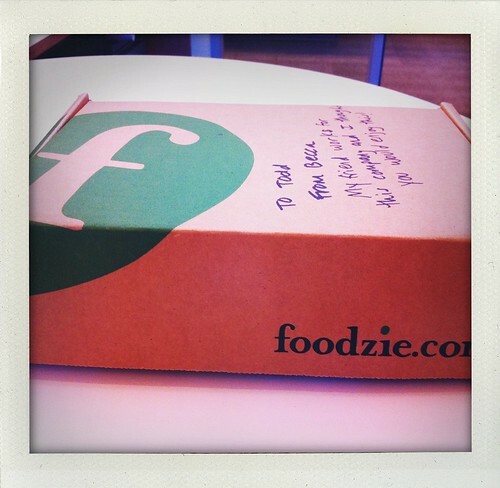 As for Foodzie itself, I'm intrigued. 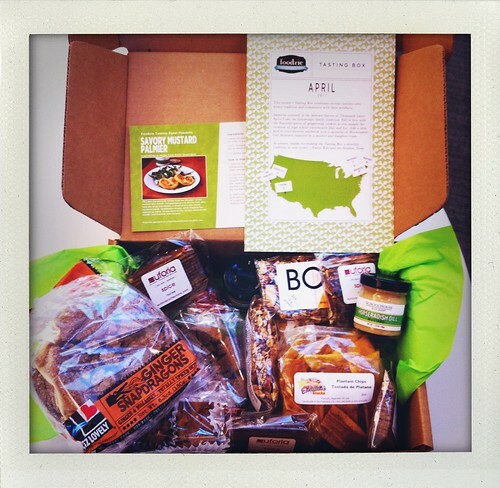 Don't be surprised if a box shows up on your doorstep.